The designers of the new World Trade Center just won the right, assigned by an architects association, to call their building the tallest one in America. They have built their antenna to a height of 1,776 feet, symbolizing the year the United States declared independence from Britain. This is one of the most regrettable new facts about my city. First, it’s like honoring World War Two by invoking Pearl Harbor. 1776 is when war was more or less declared and the slaughter commenced, not when the war started (that’s 1775) or when it ended and independence was truly asserted (that was in 1783). Celebrating the dawn of a bloody war, especially in a place like where something so dreadful happened, seems historically wrongheaded and blithely jingoistic. The victims deserve something a lot more pure and unpoliticized. Second, rubbing your country’s heritage in the face of other nations is the kind of nationalistic hubris that helped make the original World Trade Center such a tempting target. Last, and most important: The architects are fools. They say they chose a height of 1,776 to send a message to other countries about American freedom and resilience. Except America, in its bristling exceptionalism, was one of the only nations to refuse to cooperate and assimilate with the rest of the planet and use the metric system. That 1,776 figure will nearly never be seen. 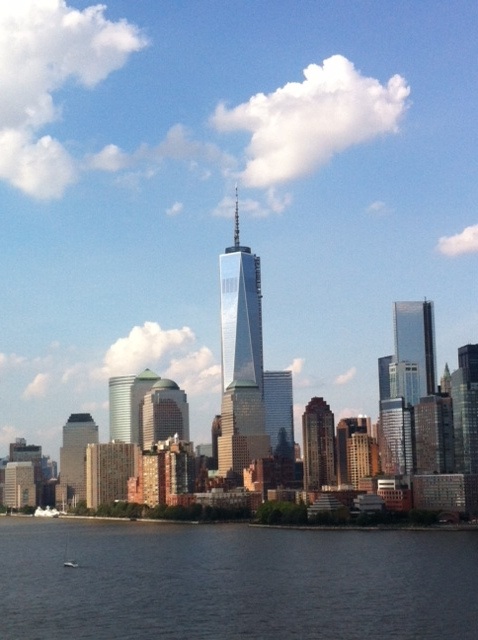 To the vast majority of the world, the new World Trade Center is simply 541 meters tall. It gets worse: 541 AD marked the beginning of the Justinian Plague, one of the worst pandemics in history, a plague that wiped out as much as a quarter of Europe’s population and many historians agree doomed the Roman, Persian, and Byzantine Empires and ushered in the Dark Ages. Way to go, Freedom Tower. Love that symbolism. The entire idea of building another tall, sticking out tower is stupid. It’s almost as if they’re inviting the terrorists to have another go. The freedom tower is insensitive, The 9/11 families saw there friends and family be crushed by burning iron from hundreds of feet high, then they not only don’t get a say in what they want built there, but they don’t even have a good building in place of what was probably one of the most iconic glorius structures in the world.